It’s that time of year again. Most foundations follow the calendar year and they are ready to start donating for 2014. If you haven’t already you need to get your cause in front of them. 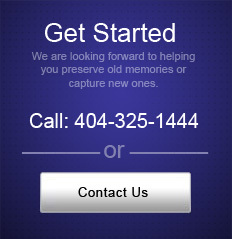 In addition to proposals and grants your website needs to be looking it’s best. What better way to introduce yourself to future supporters than by video? A picture is worth a thousand words, but a video can actually say them! Here are some links to great resources for helping you incorporate video into your marketing and fundraising strategy. This includes simple, but important tips, to help you create a polished, professional video. Here are some examples of effective videos along with explanations as to how they are able to accomplish their goals. This website lists more examples of powerful videos along with many other helpful articles. This article from The NonProfit Times gives 4 questions you need to ask when planning your video. This is the benchmark and best practices report by See3. It discusses the ROI of video, and specifically takes a look at specific business goals for video – namely marketing and raising awareness, fundraising, membership development and relations, and advocacy.